Table Meadows is a beautiful new home community tucked away in South Nampa, minutes from Lake Lowell. If you are looking for the feel of country living with elbow room, while being close to the city, you are going to love the spacious homesites in Table Meadows. 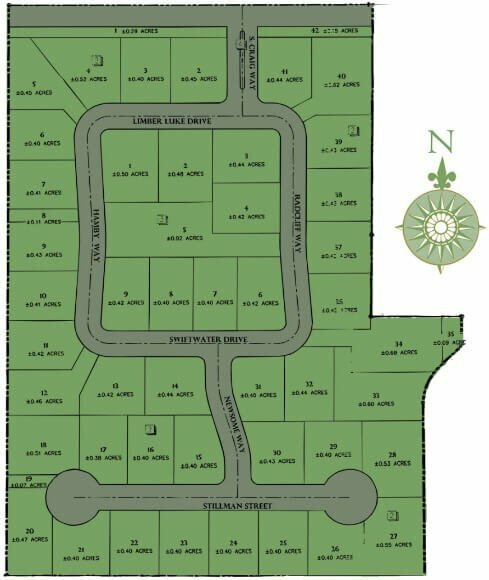 Choose a move-in-ready home or a custom builder of your choice to design your dream property on these 1/3 to 2/3 acres building lots. Table Meadows homeowners are far enough from the crowds yet a short distance to shopping, restaurants, and 10 minutes to downtown. Browse all new homes in Nampa or discover your perfect neighborhood with our Nampa new subdivisions research guide. From I-84 take exit 38 for Idaho Center Blvd toward Garrity Blvd. Turn left on E Flamingo Ave then right (south) on N Happy Valley Rd. Turn right (west) on E Lewis Ln. After Powerline Rd the subdivision will be on your left - Nampa, ID 83686. Get the Nampa new construction experts working for you. Contact us today to get the latest Table Meadows Nampa real estate information - (208) 391-4466.